Kline’s deep sensation audio experience graces airwaves locally and internationally – he’s a resident performer in the CHAPEL SOUND project and also had material played by Skream and Benga on BBC Radio 1. Come early for Talent Time and get 2 fun times for the price of one! 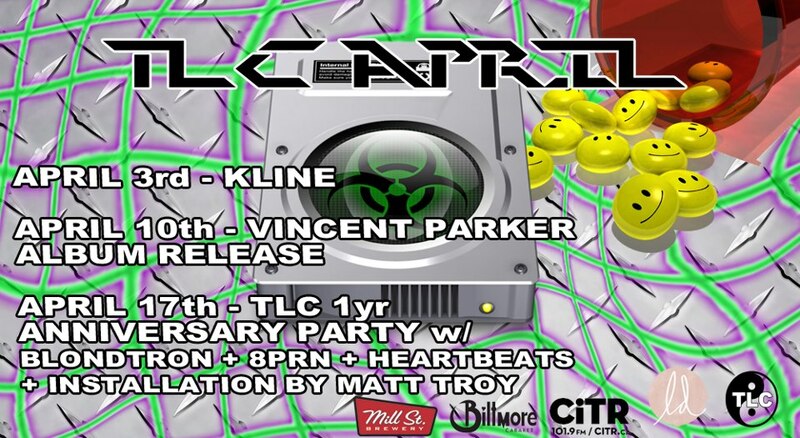 Tonight is TLC’s FIRST BIRTHDAY – and we’re bringing back some of our favorite guests for a 2am closer, so we can go ALL NITE LONG!! 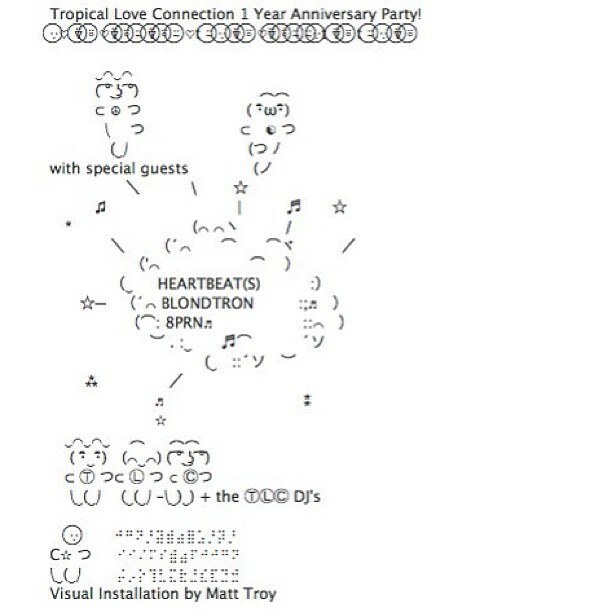 Bongtron, Heartbeat(s), and 8 P R N are bringing the noise and Matt Troy is bringing the augmented reality visual installation! WTF? come and find out!